Anthony Doerr’s “All The Light We Cannot See” is another 2014 book that has made my best-of-all-time list. This novel follows the lives of two children amidst World War Two: the first, a blind French girl running and hiding from the German Army, and the other, a genius boy orphan picked up by the Hitler Youth. I have never read writing about warfare as elegant and true as Doerr’s. Most other wartime pieces strike me as either artlessly gruesome or too whitewashed. In “All the Light We Cannot See,” Doerr creates the exact balance needed to make the reader care the most. I picked up this book one Friday night and read through its 500+ pages by Sunday afternoon. You may not cry, but your heart will ache for our history, and humanity’s capacity for love, greed and perseverance. 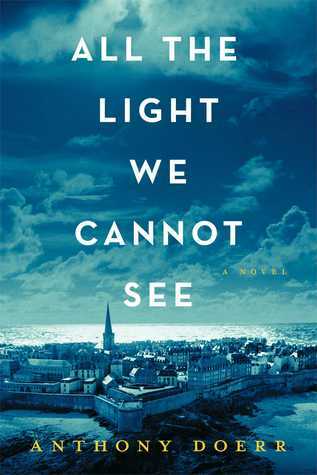 This entry was posted in Book Reviews, Fiction, Recommended and tagged All The Light We Cannot See, Anthony Doerr, book review, books, fiction, World War Two. Bookmark the permalink.